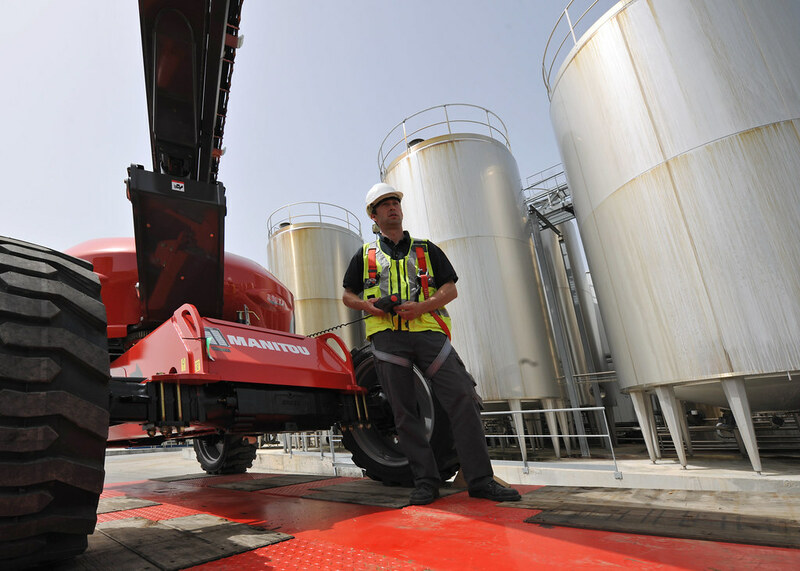 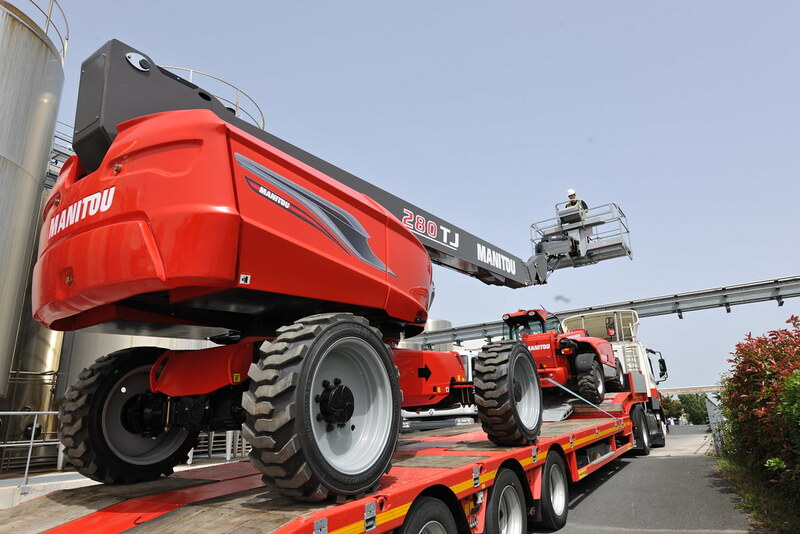 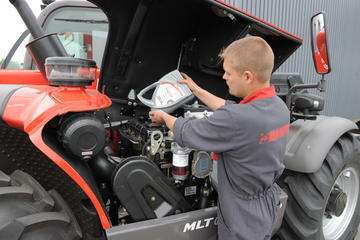 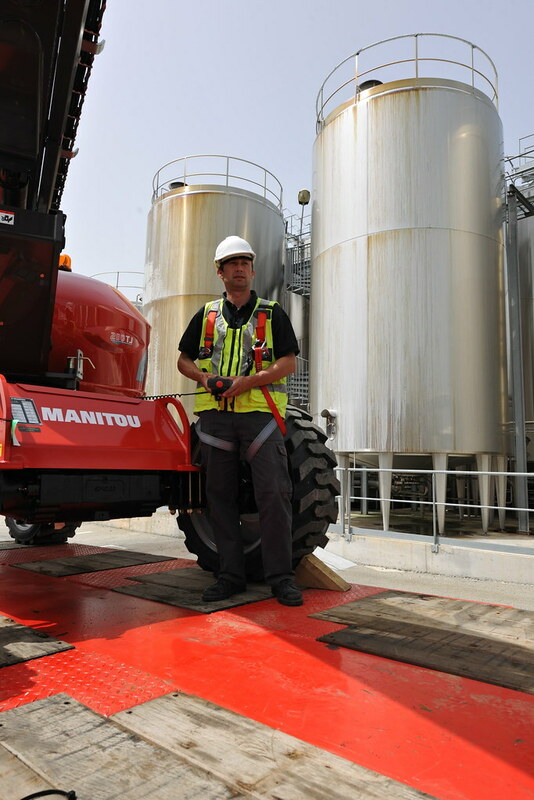 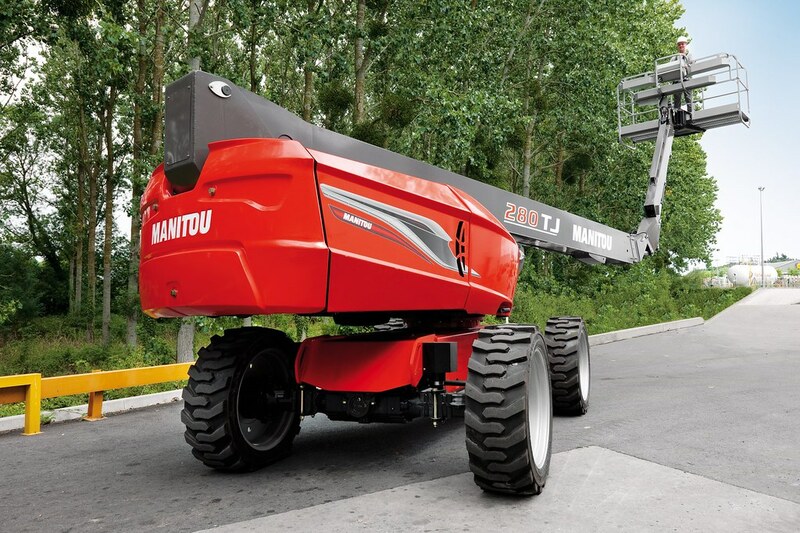 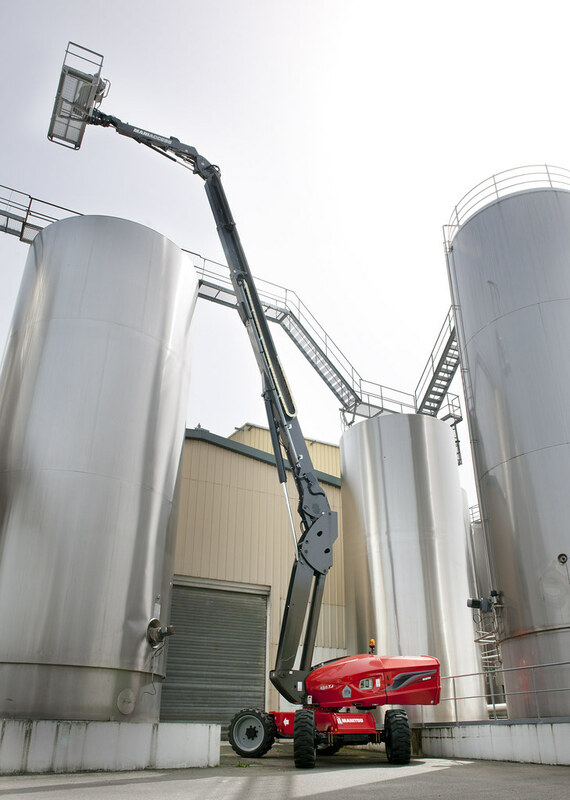 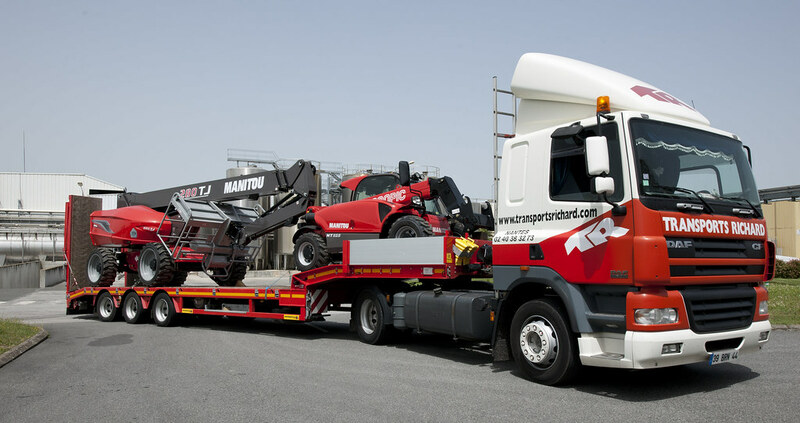 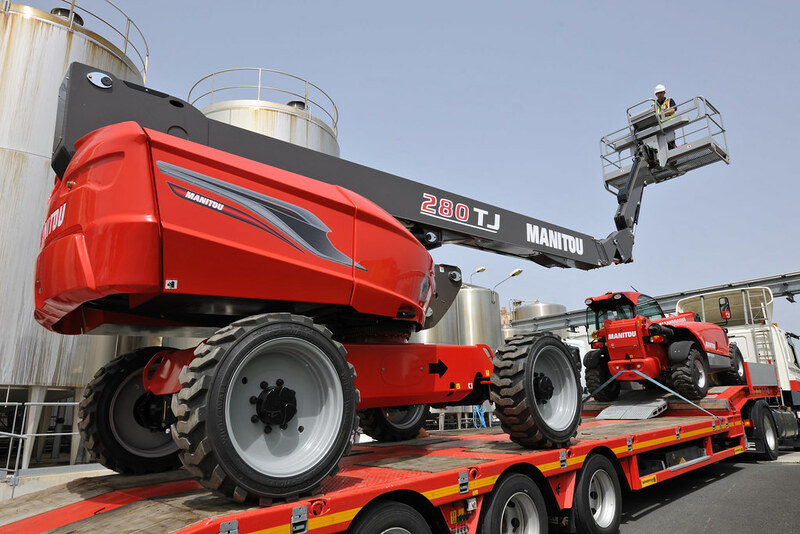 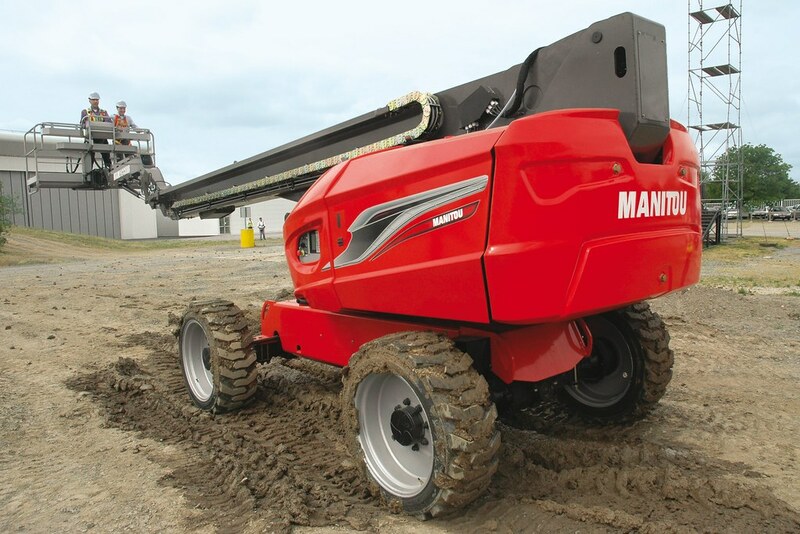 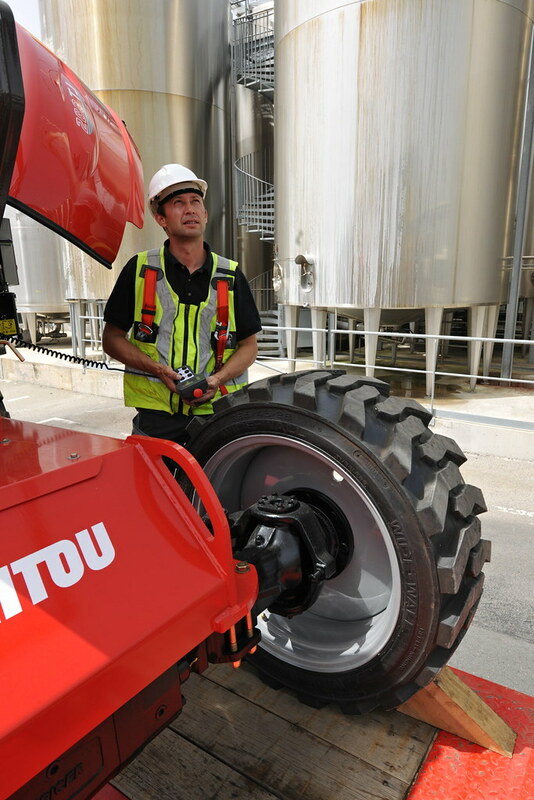 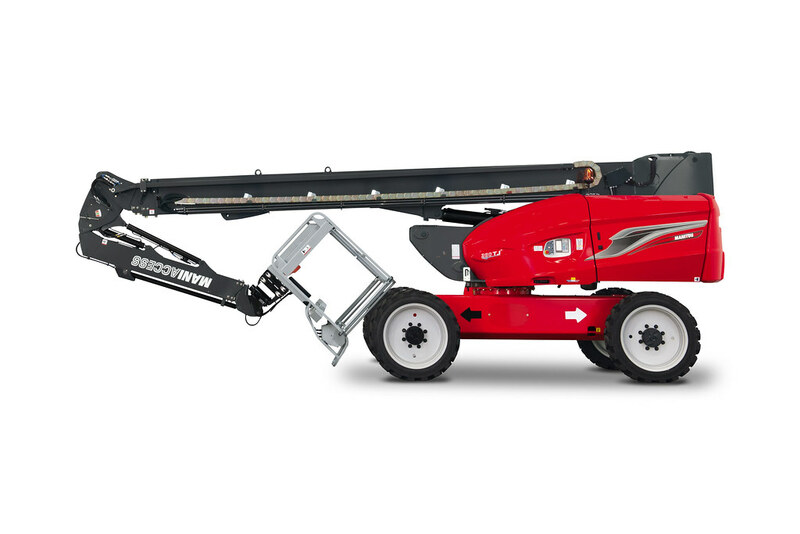 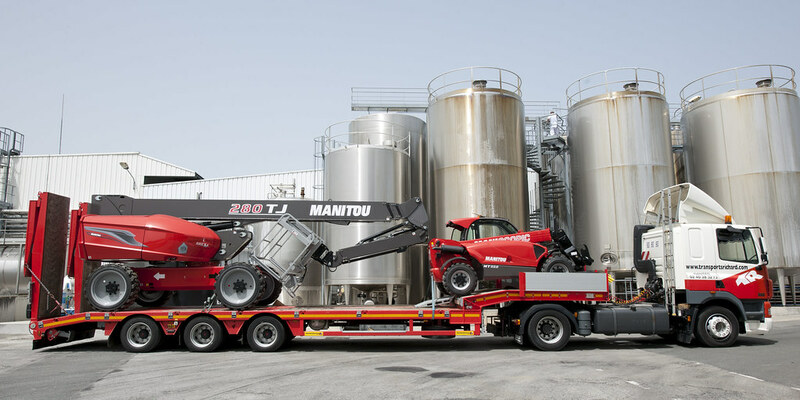 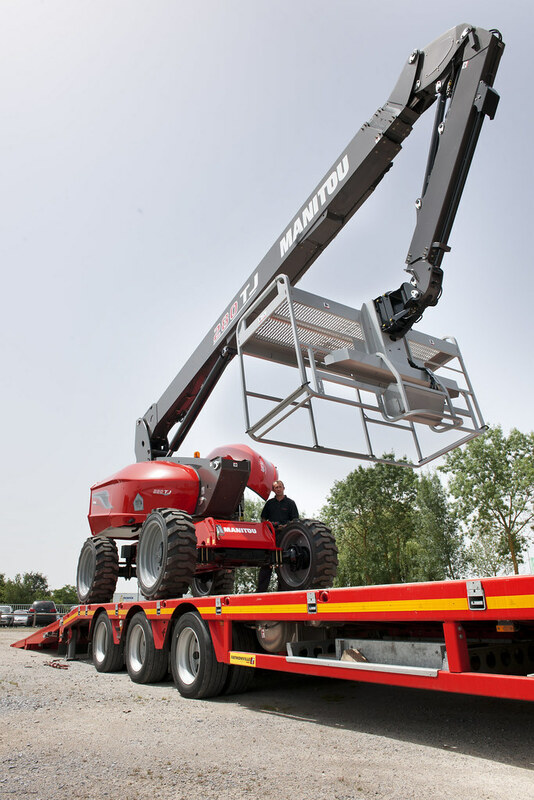 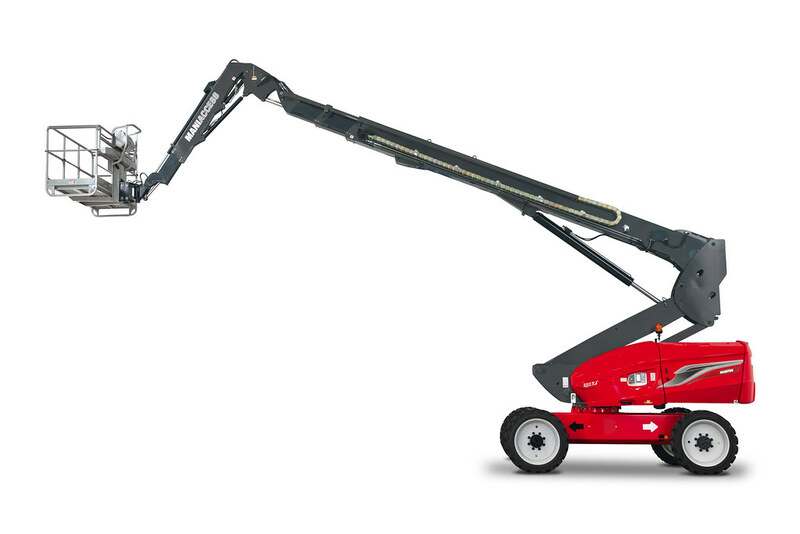 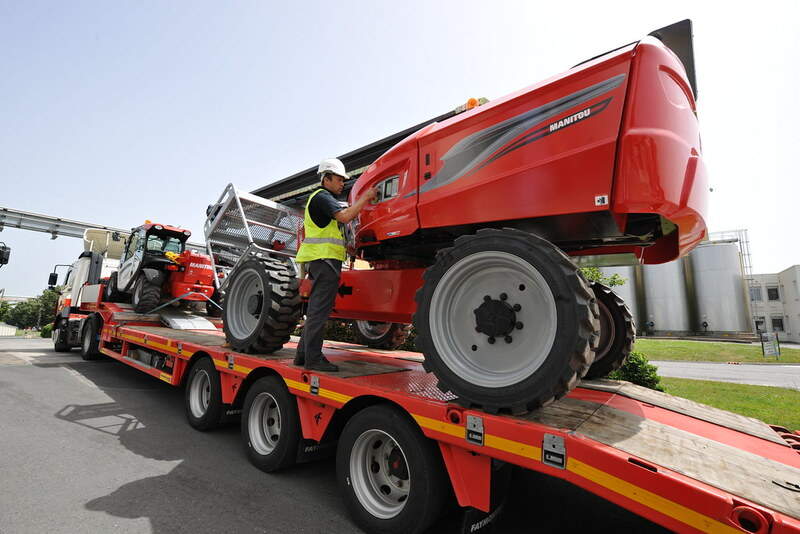 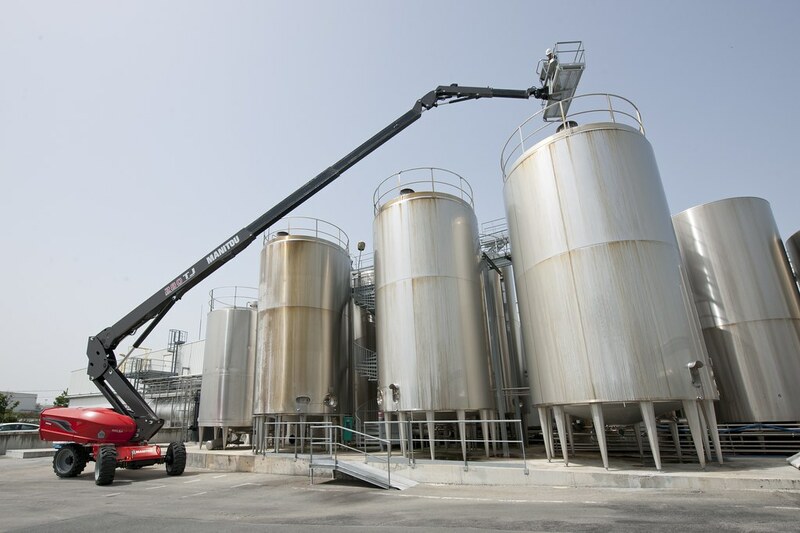 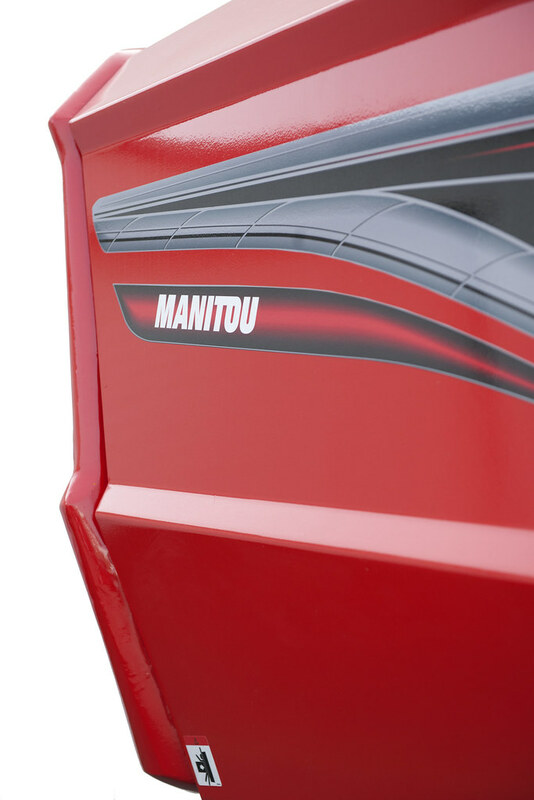 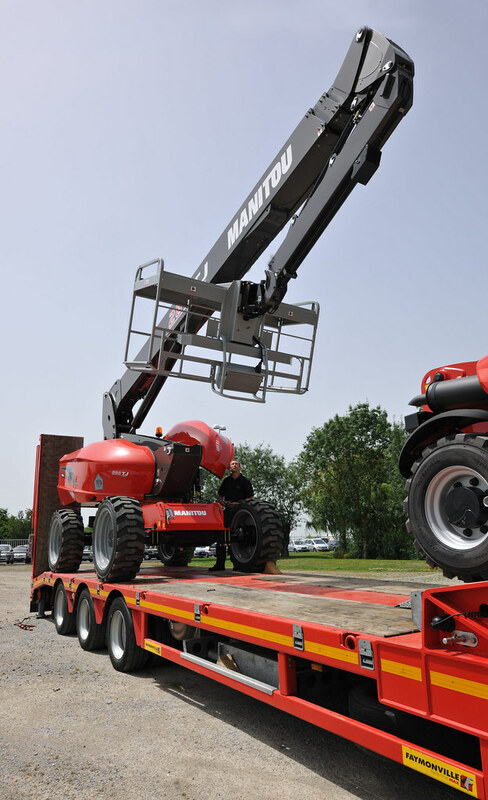 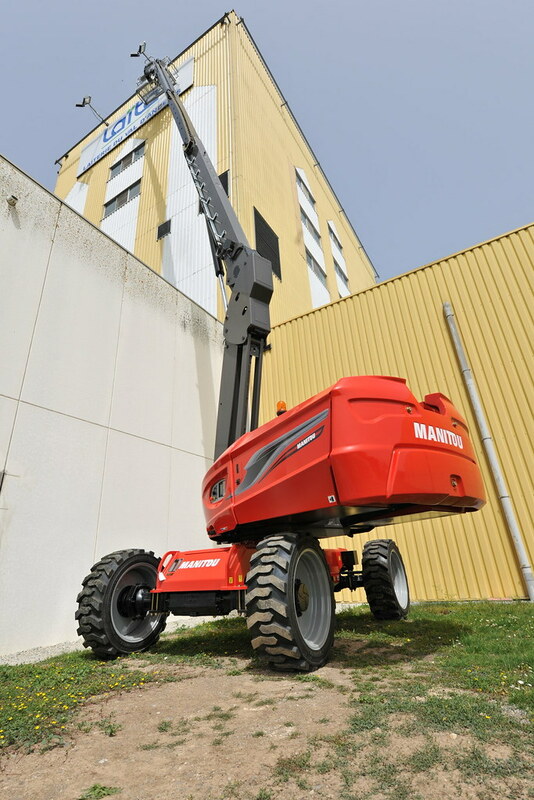 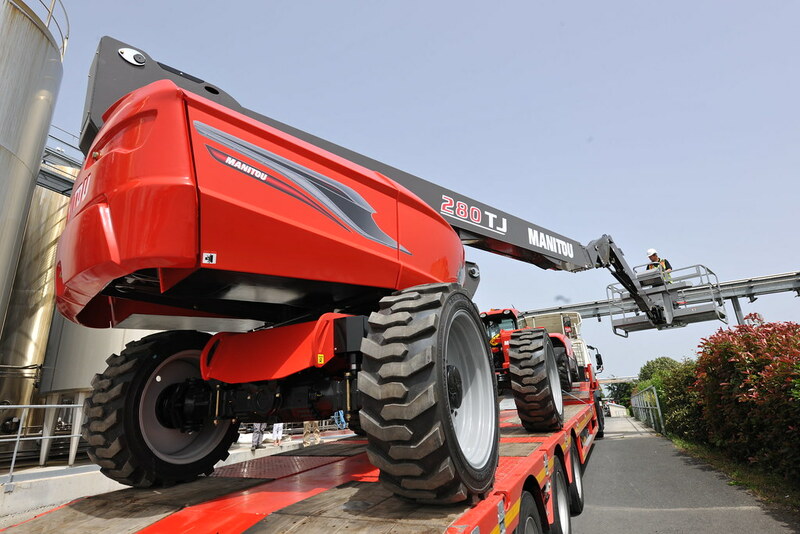 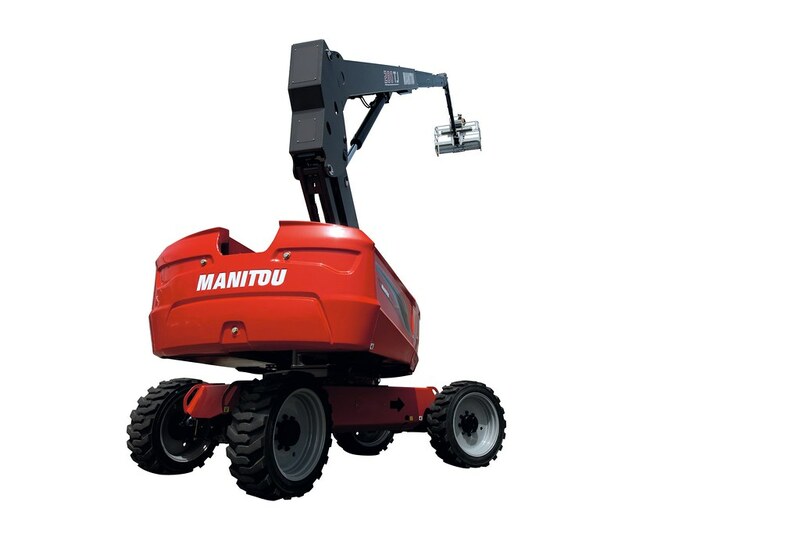 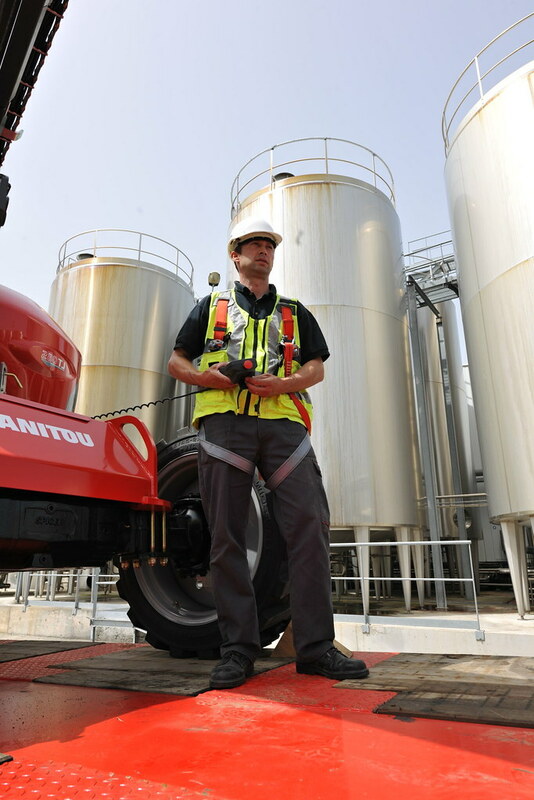 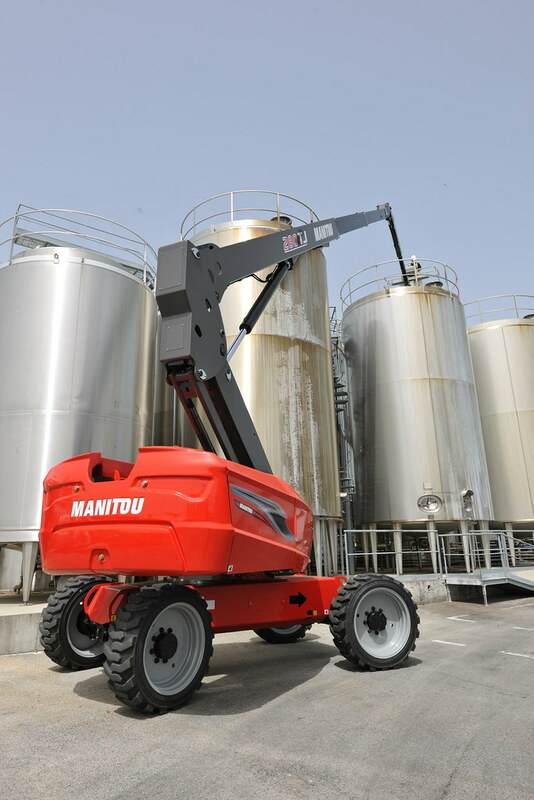 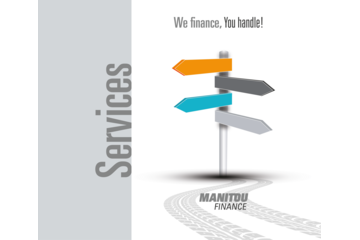 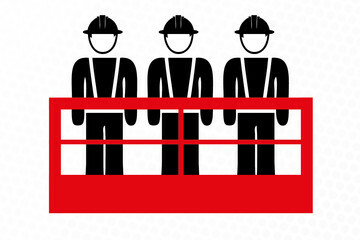 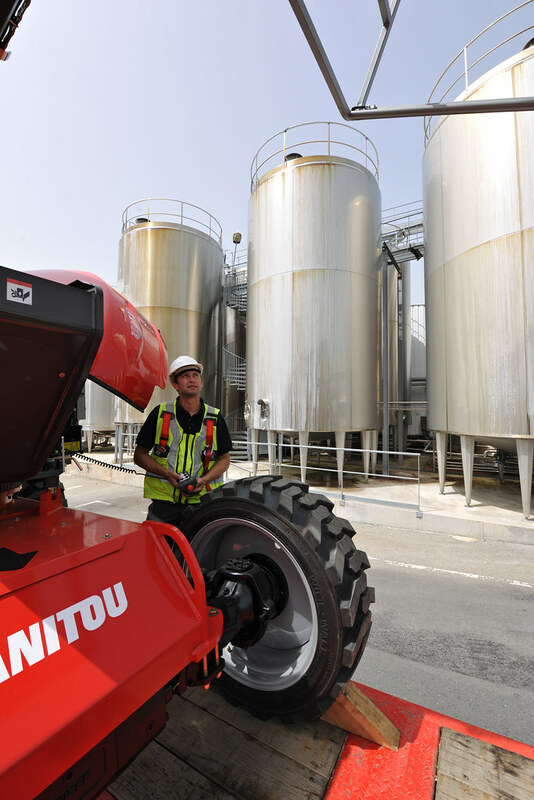 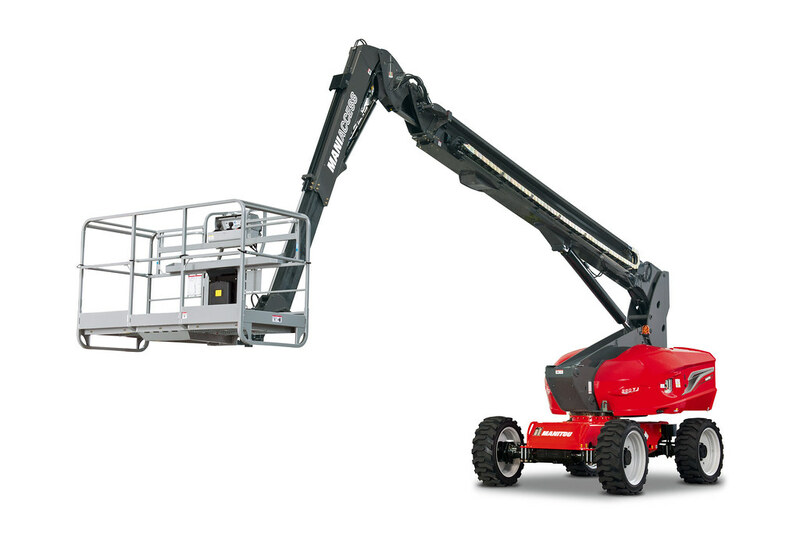 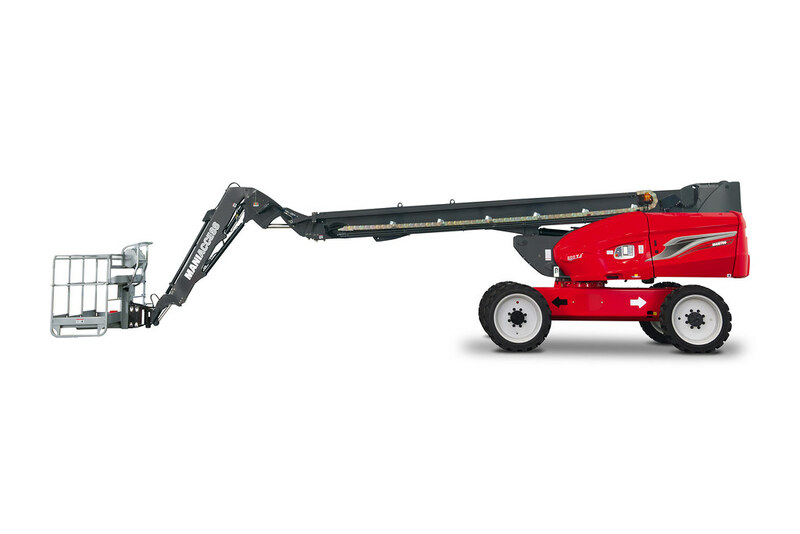 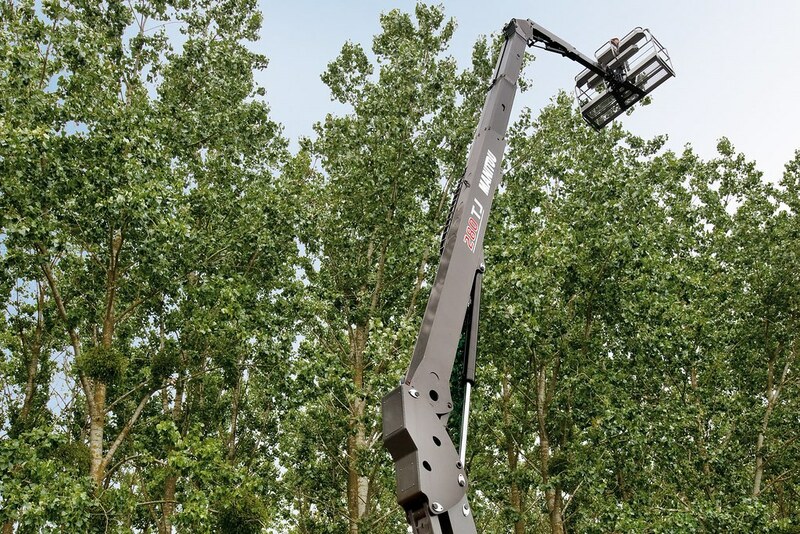 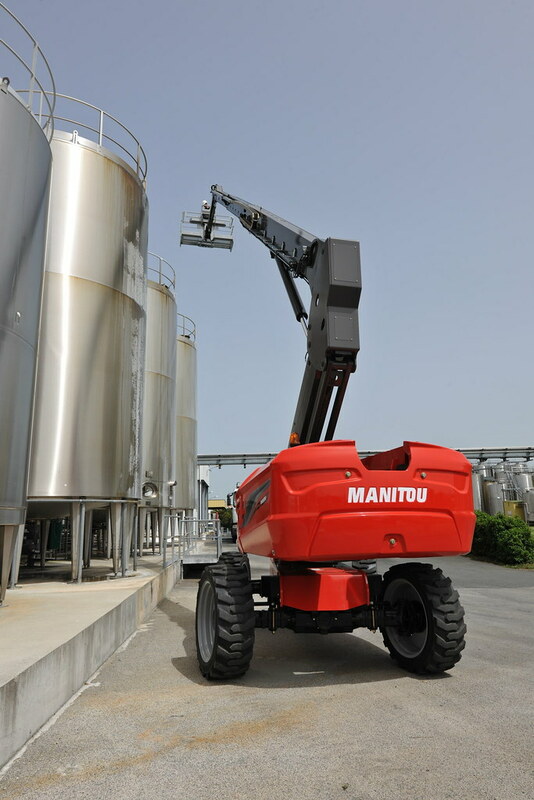 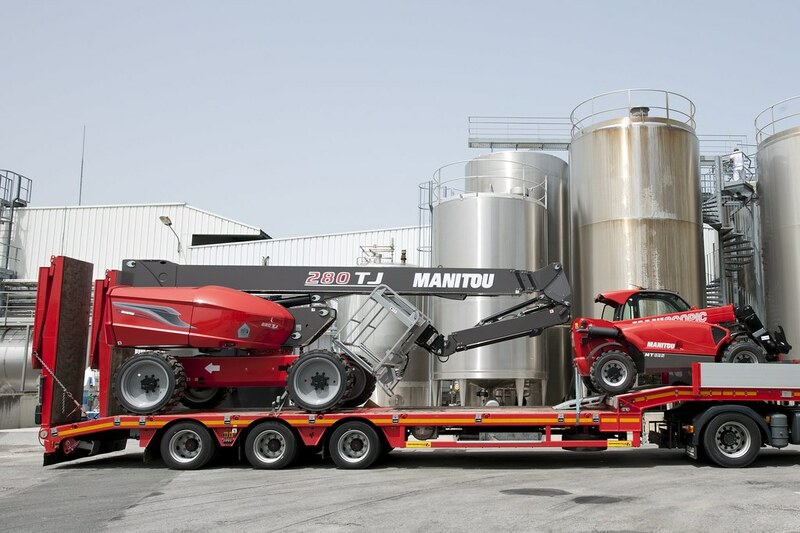 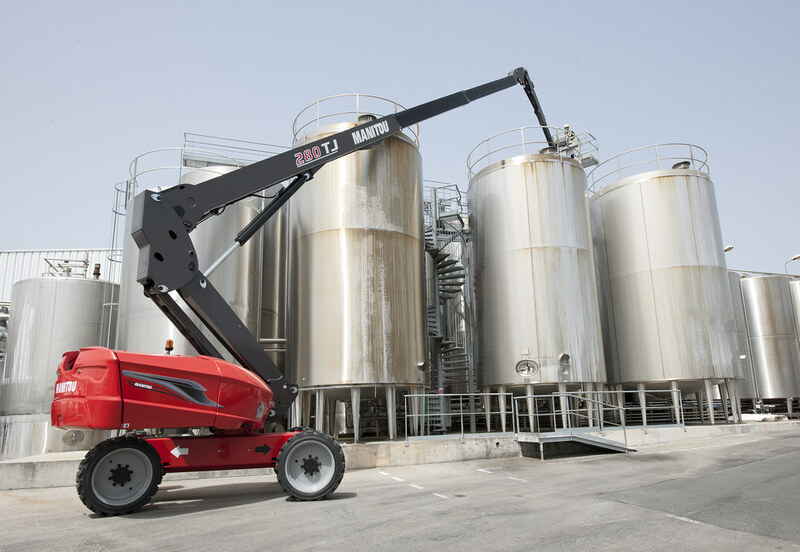 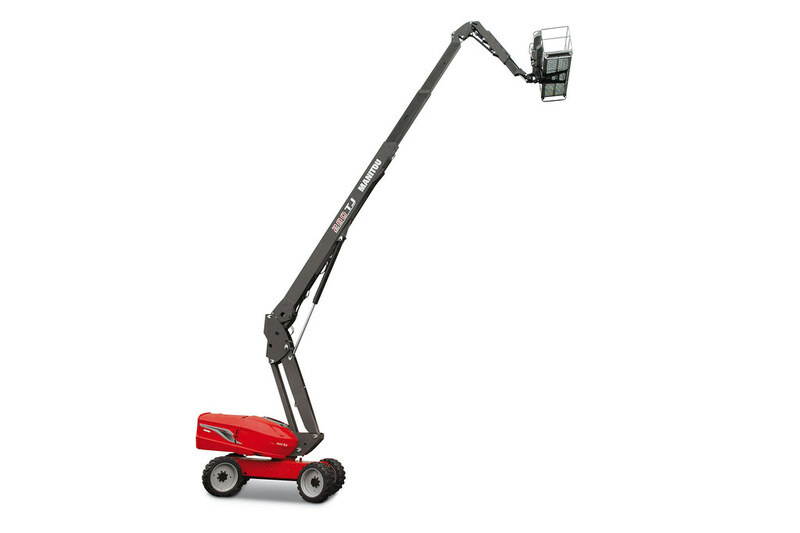 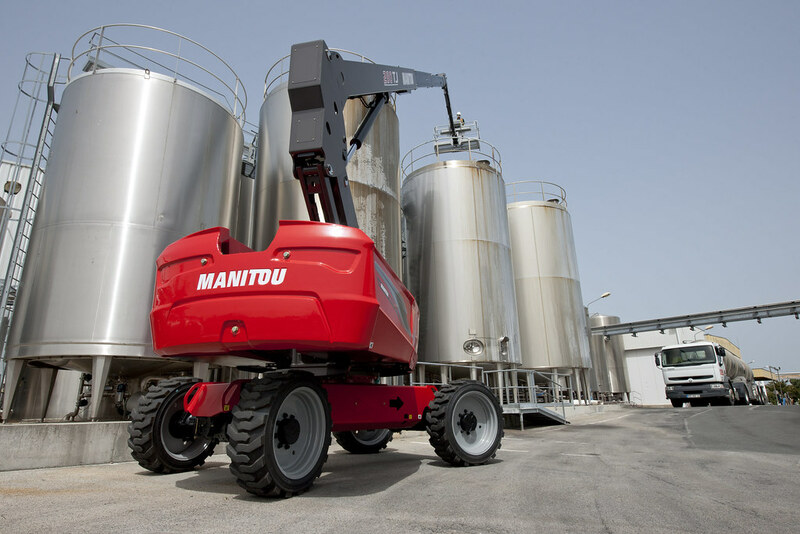 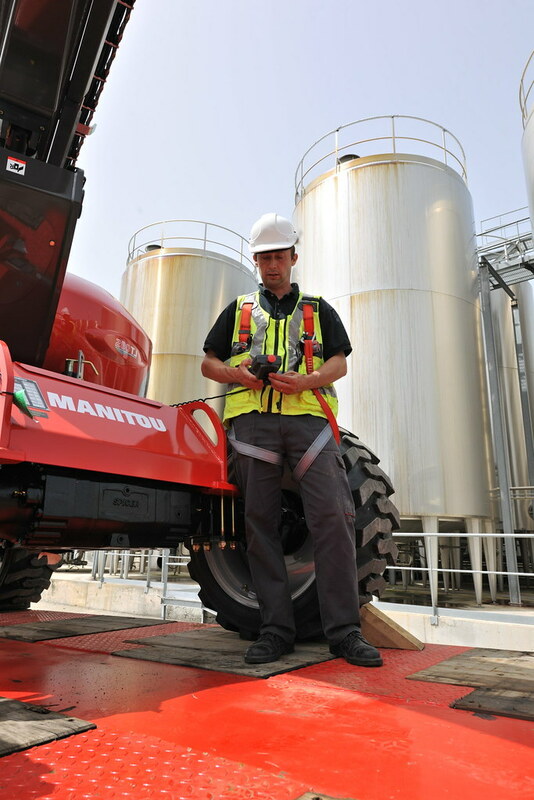 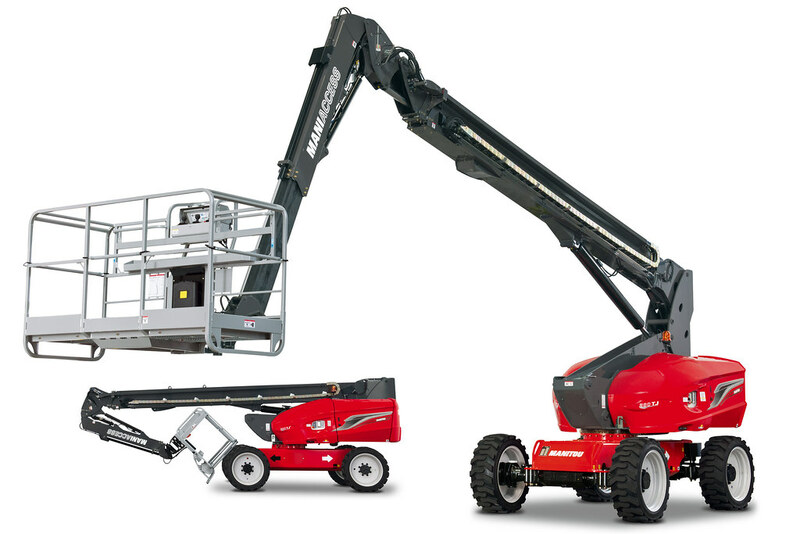 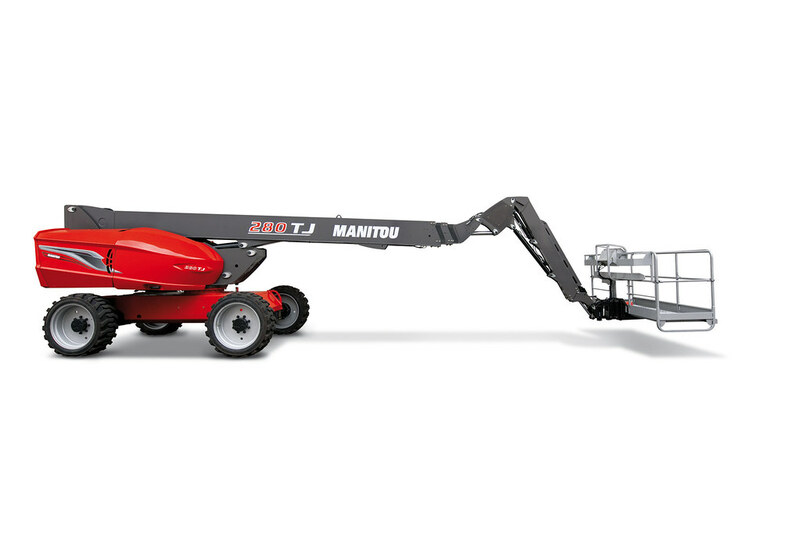 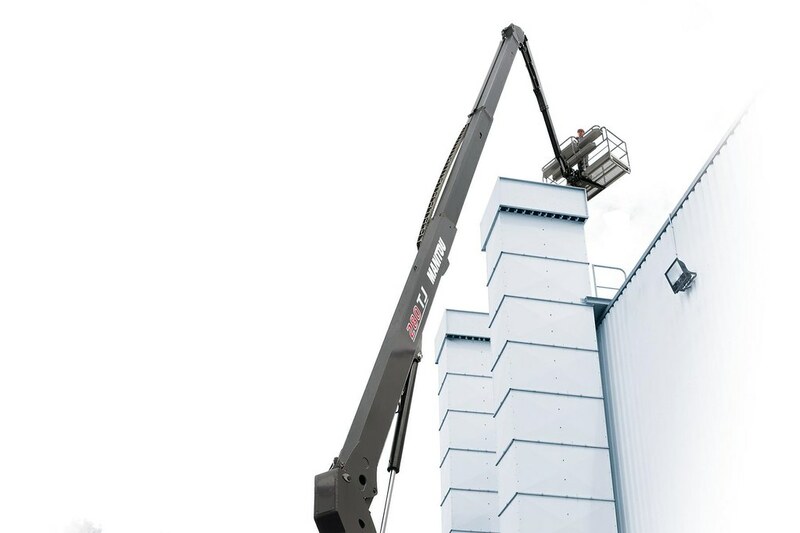 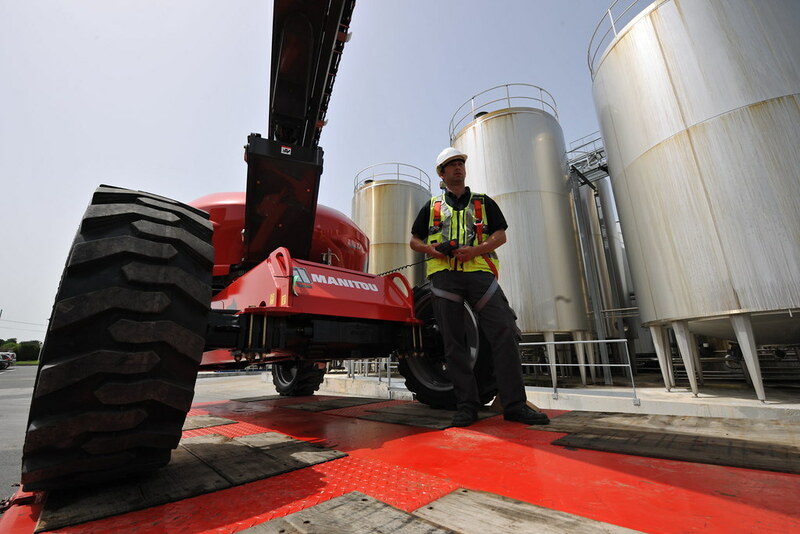 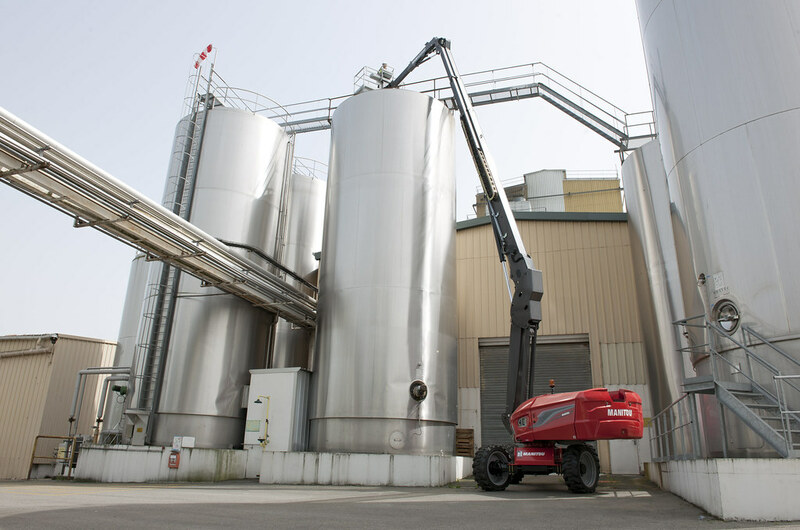 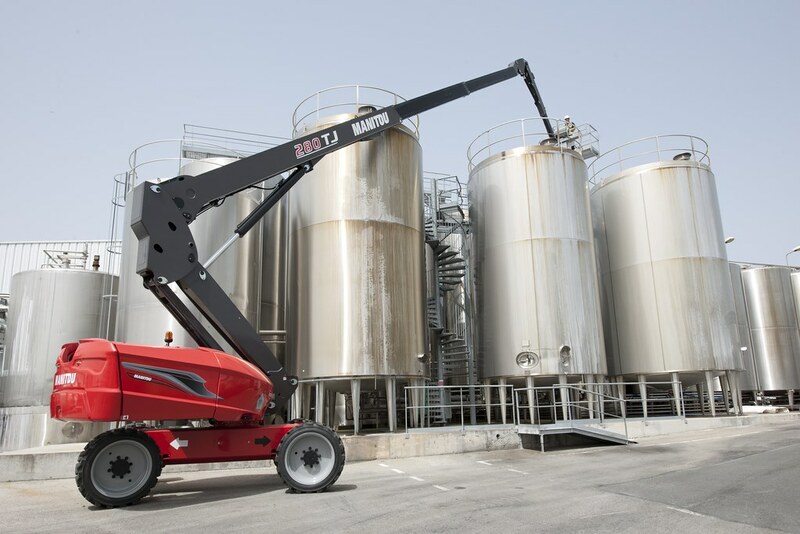 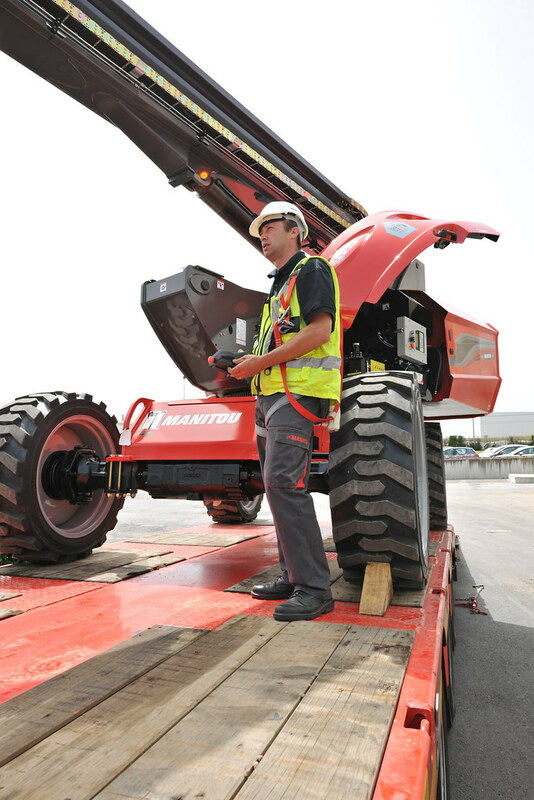 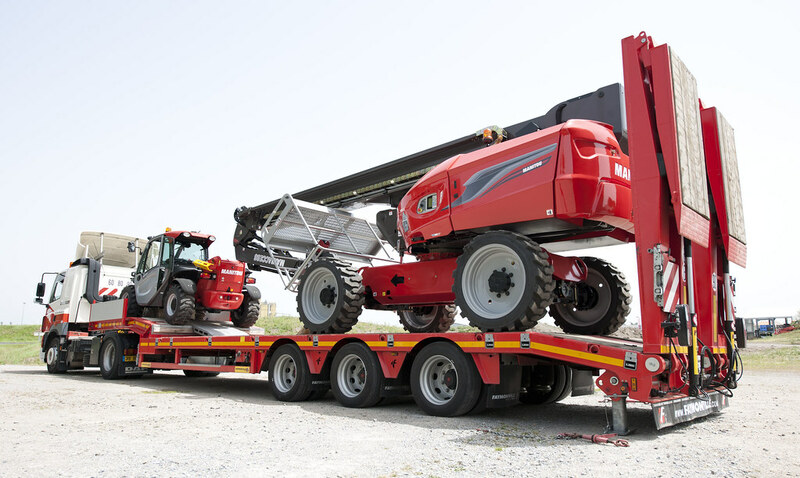 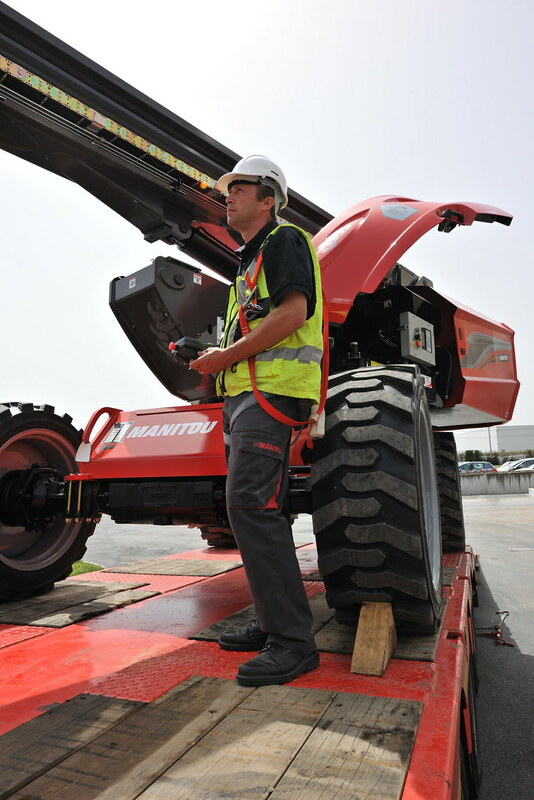 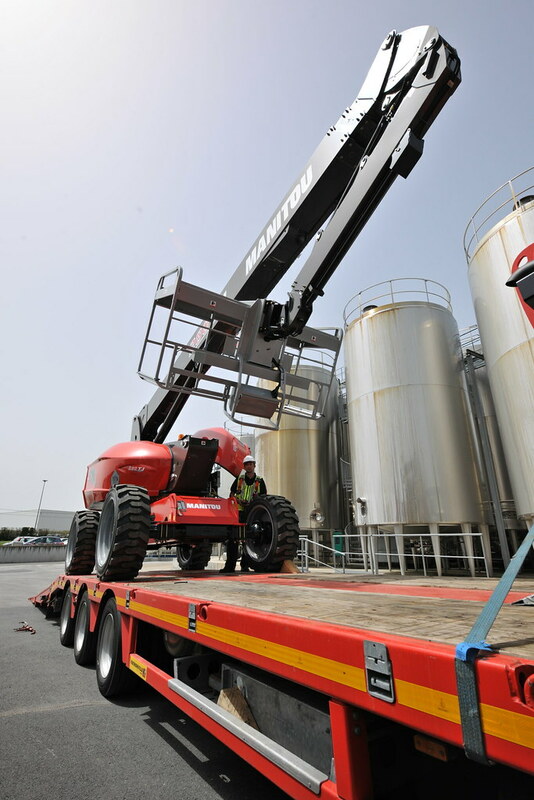 The Manitou 280 TJ diesel-powered telescopic platform provides the greatest working height of the range (27.75 m). 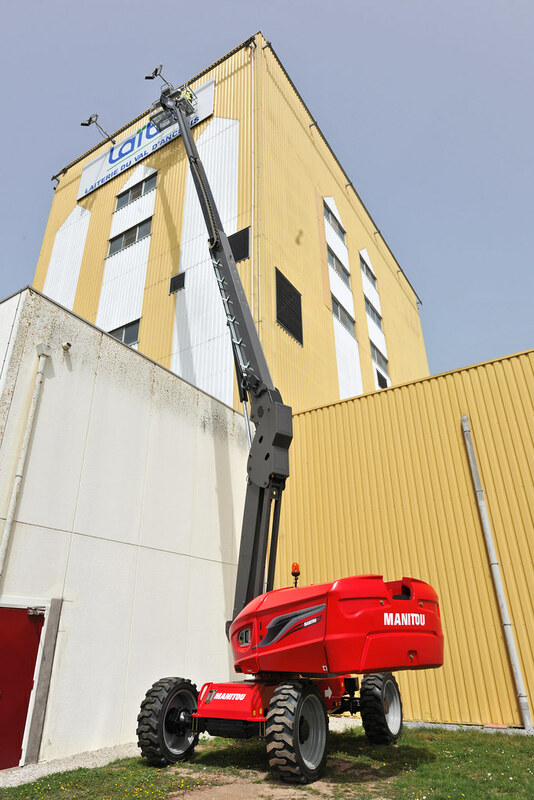 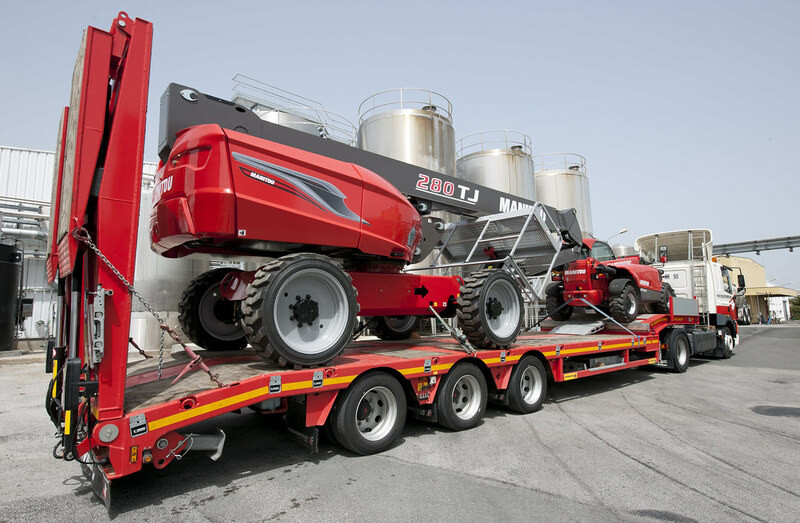 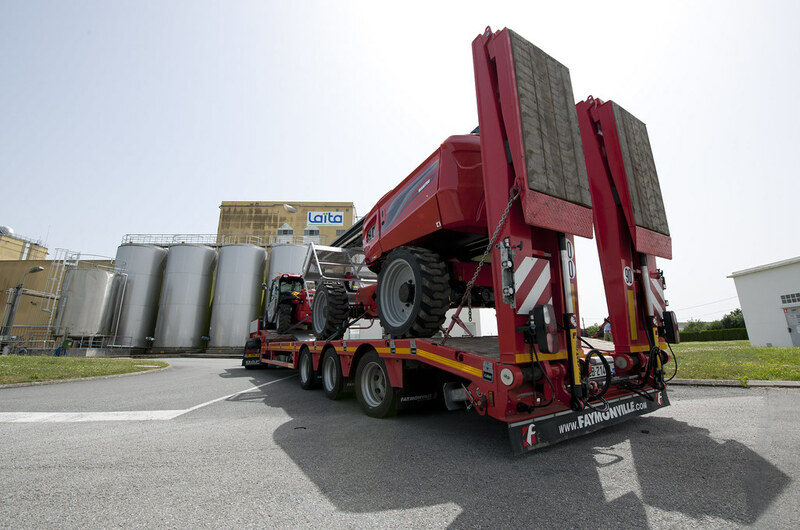 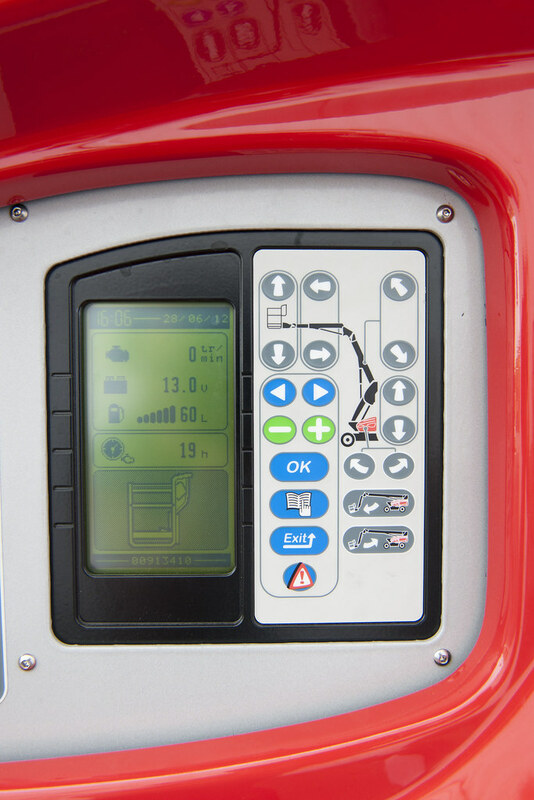 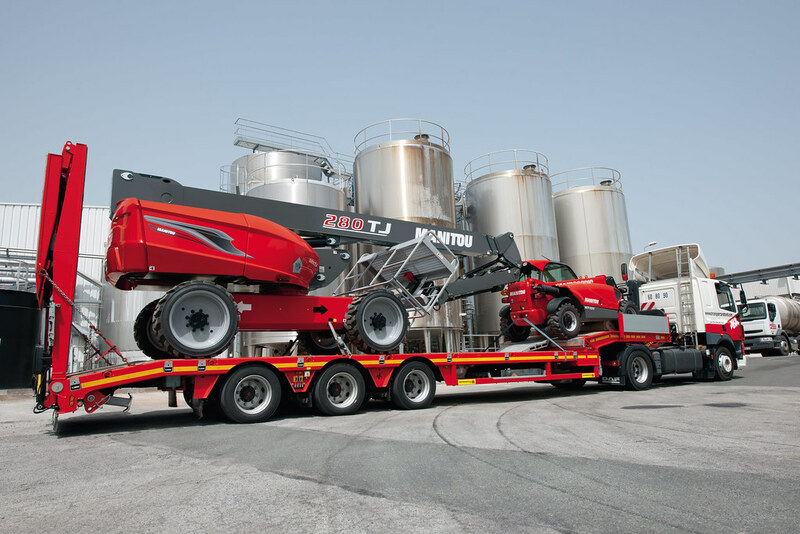 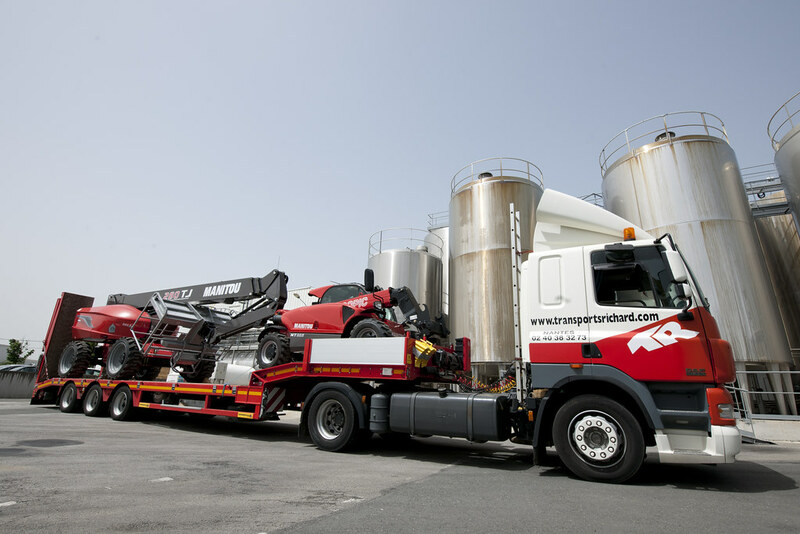 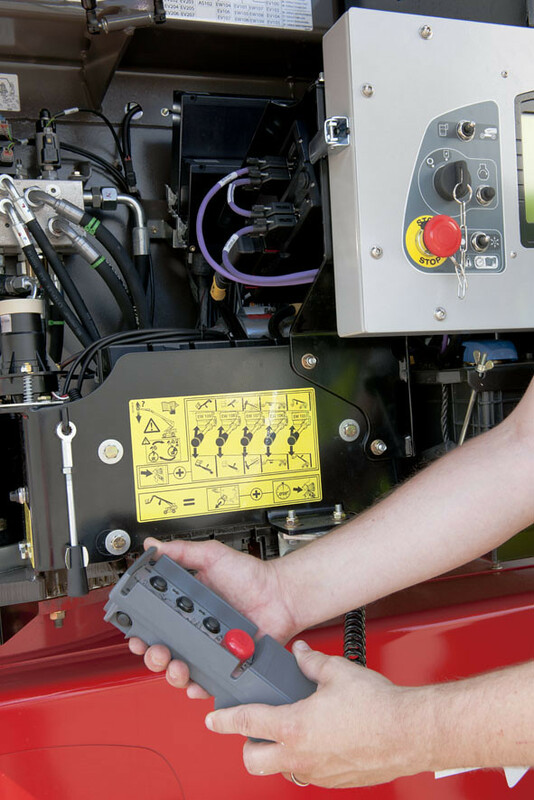 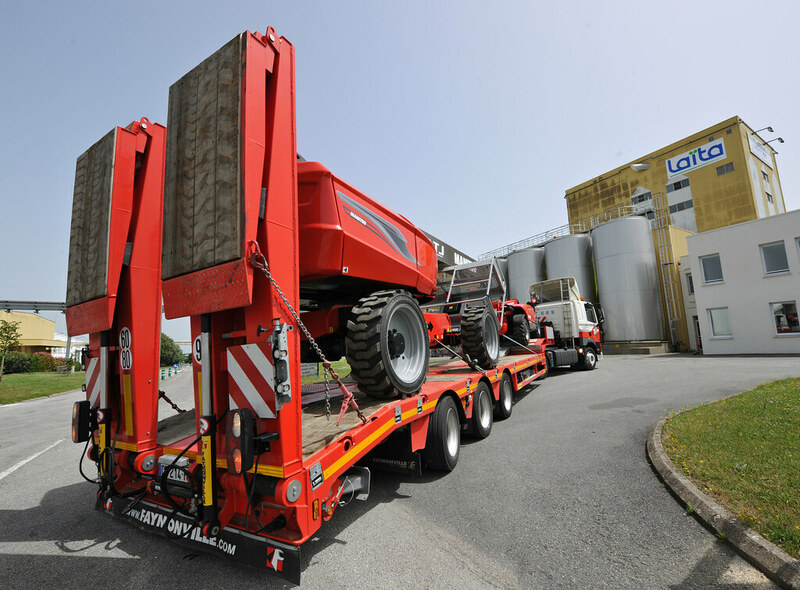 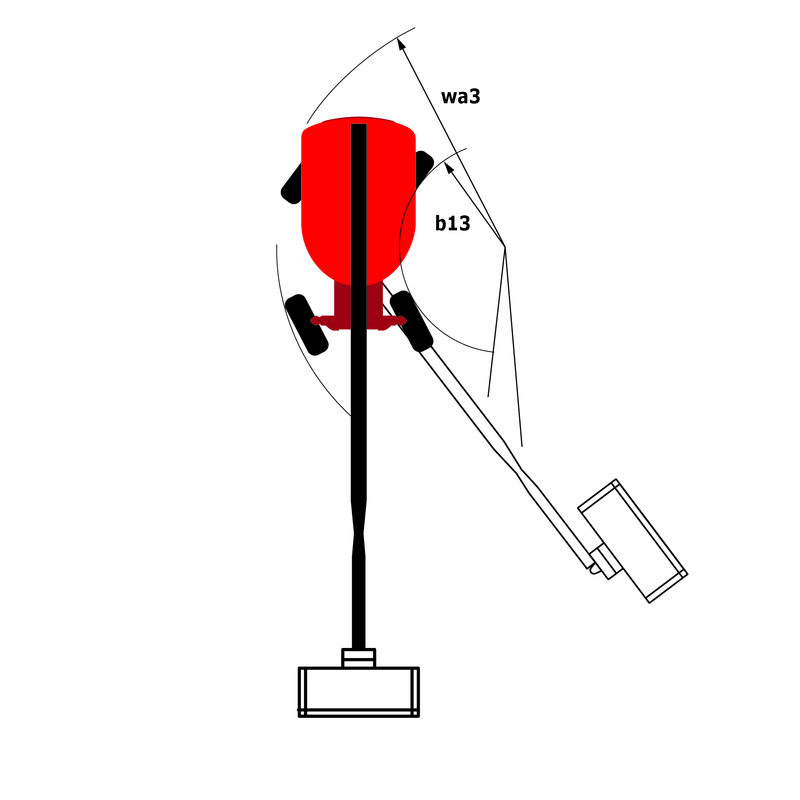 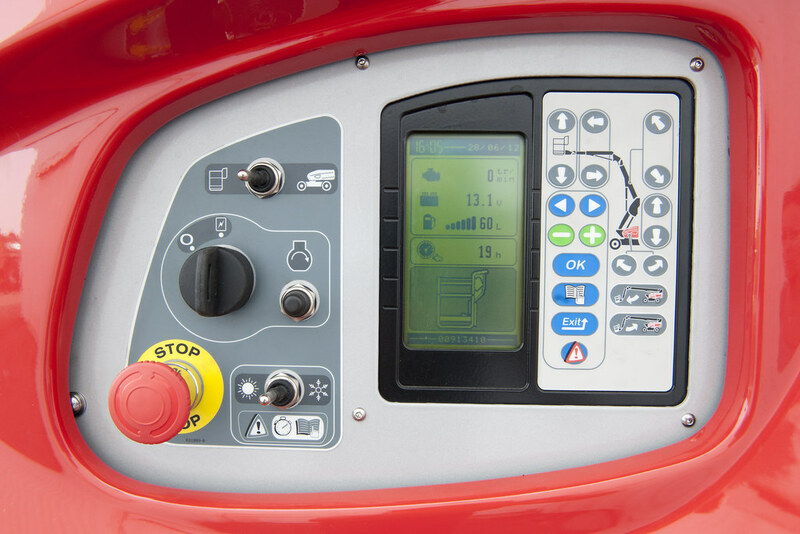 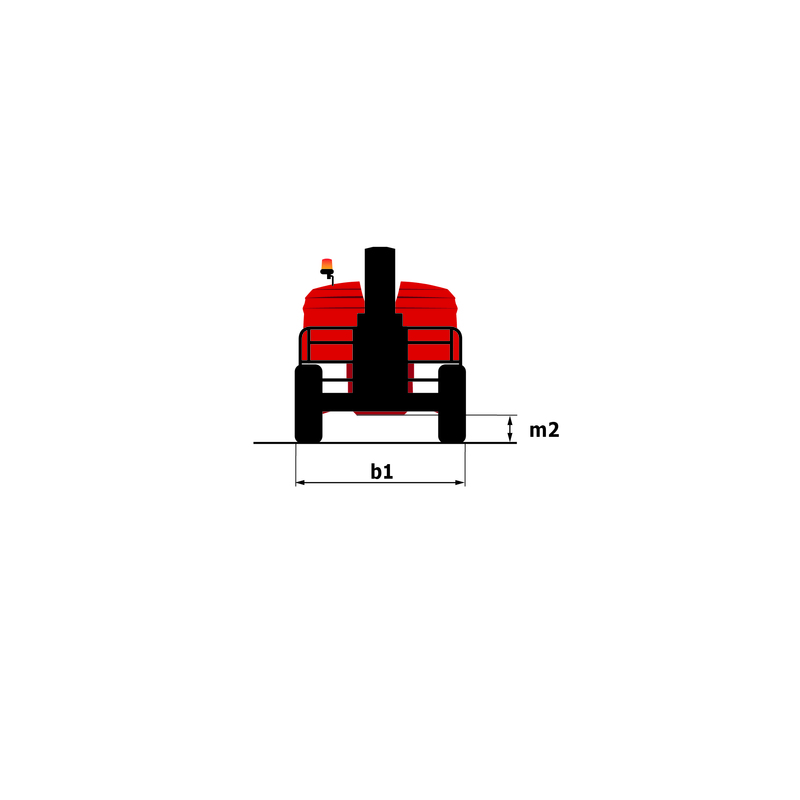 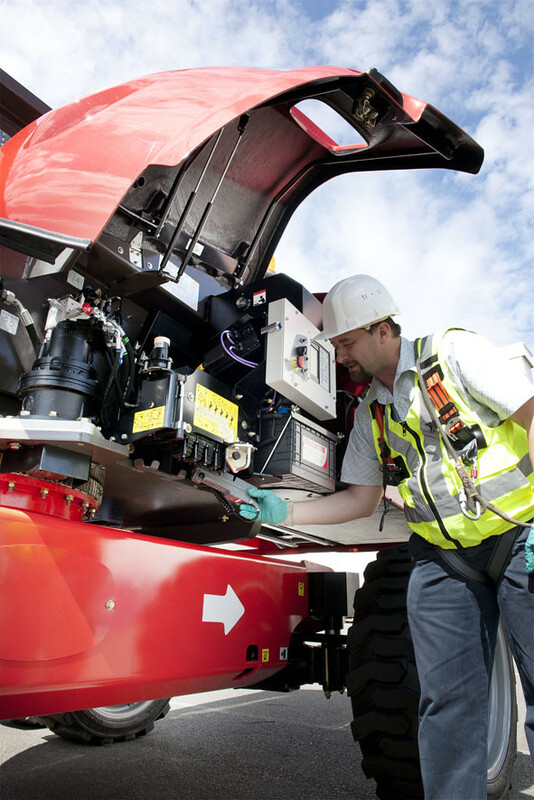 Thanks to the continuous turret rotation and its horizontal outreach of more than 21 m, movements of the machine are reduced and the operator has an exceptional working area. 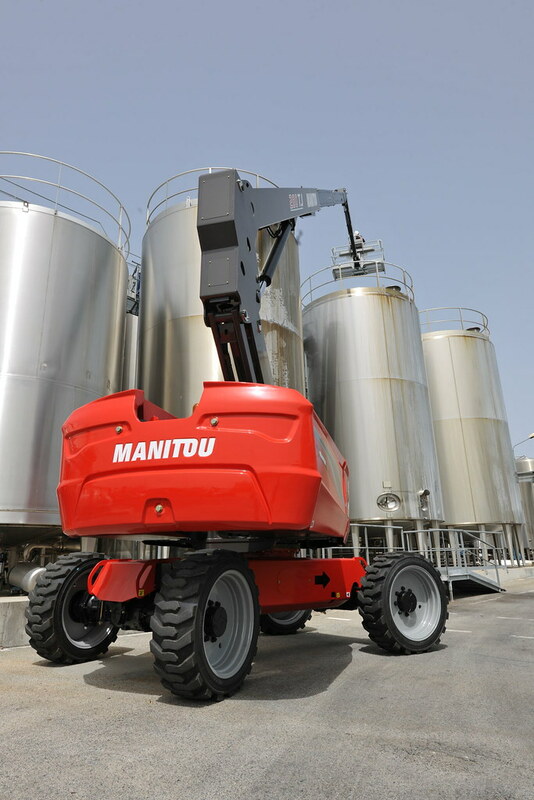 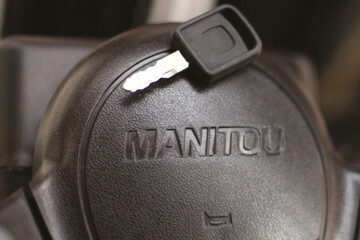 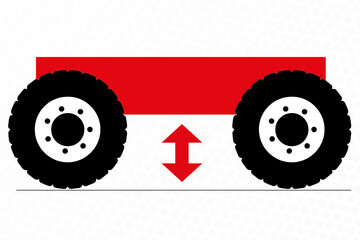 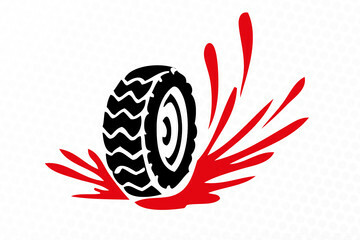 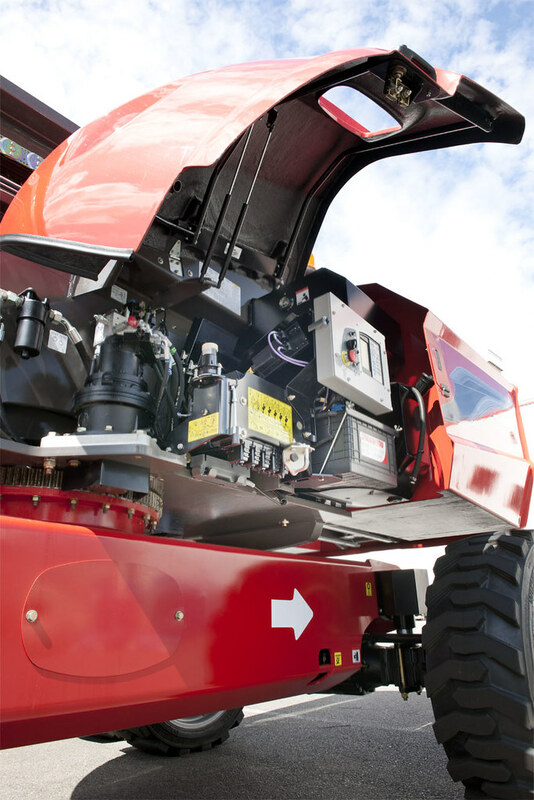 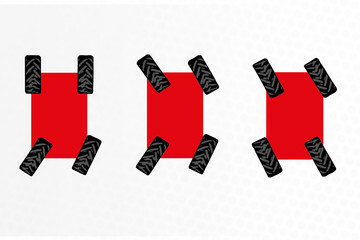 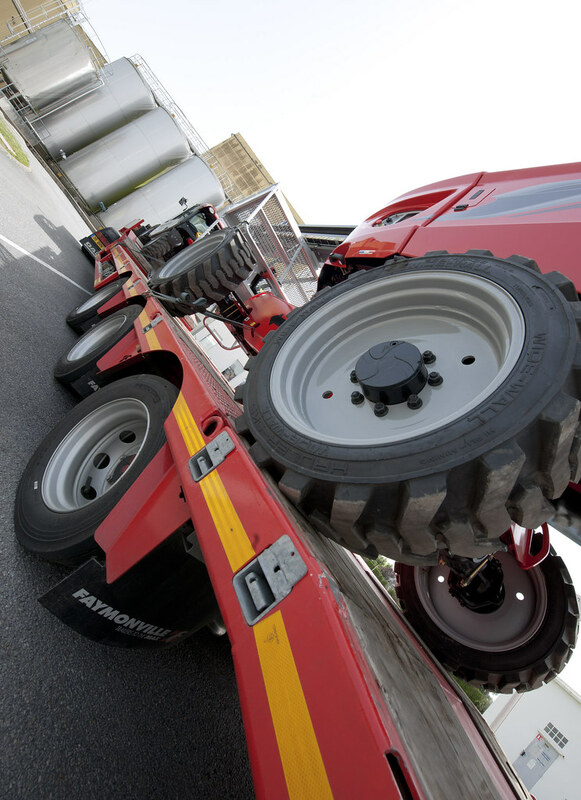 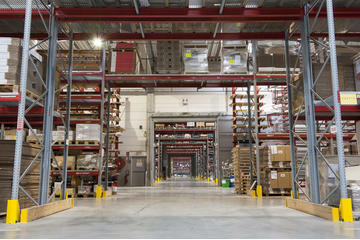 Its significant ground clearance combined with its all-terrain capabilities guarantee a high-level clearance capacity. 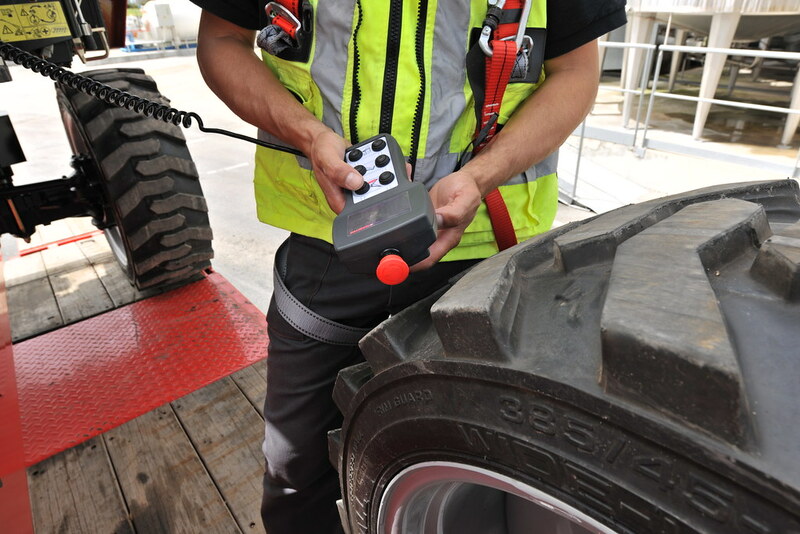 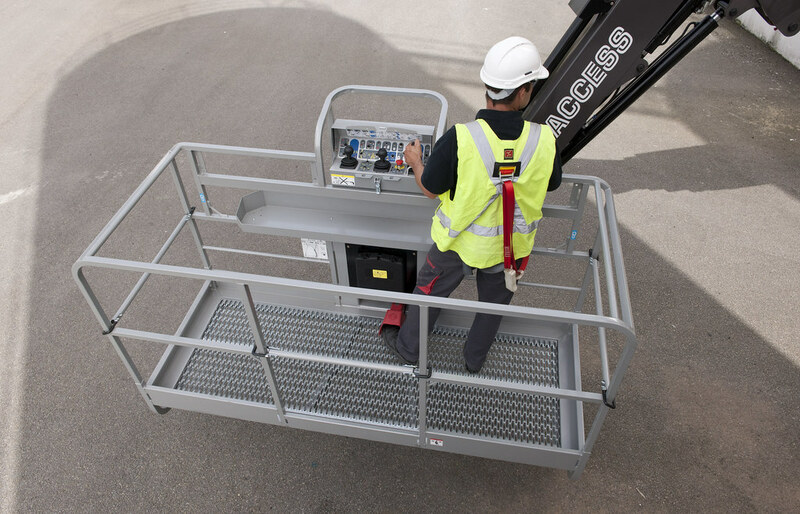 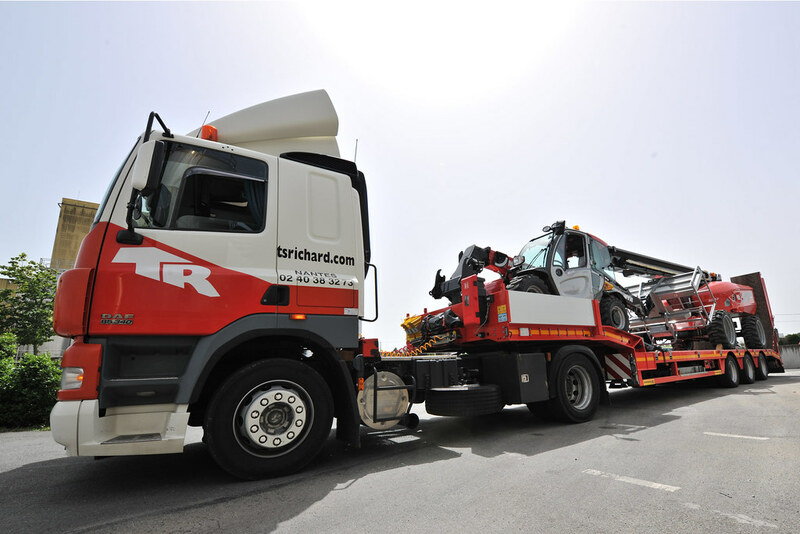 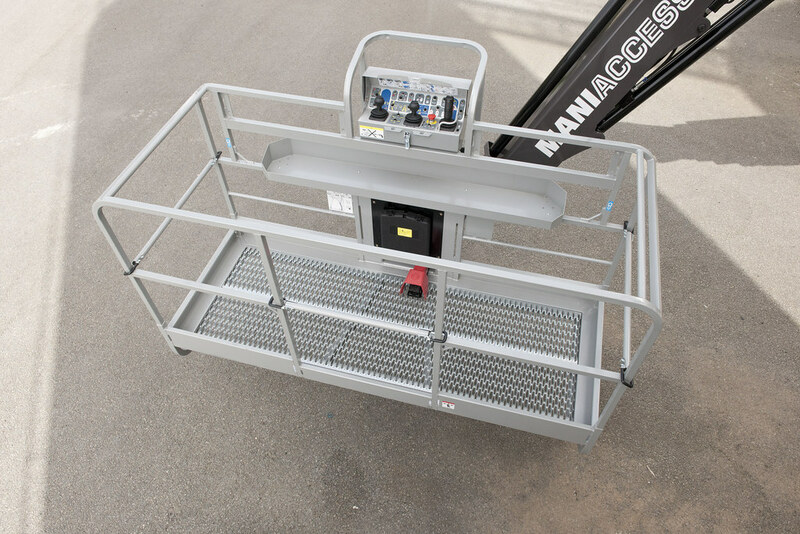 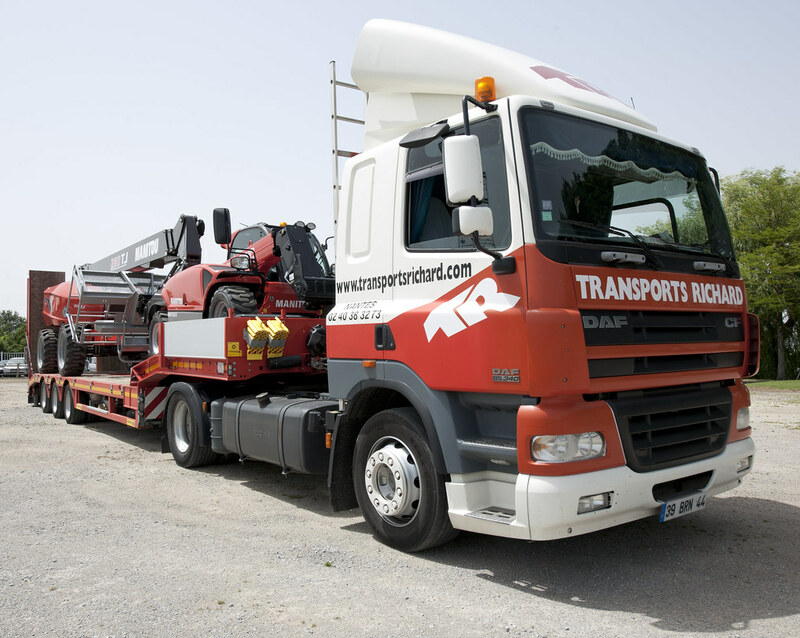 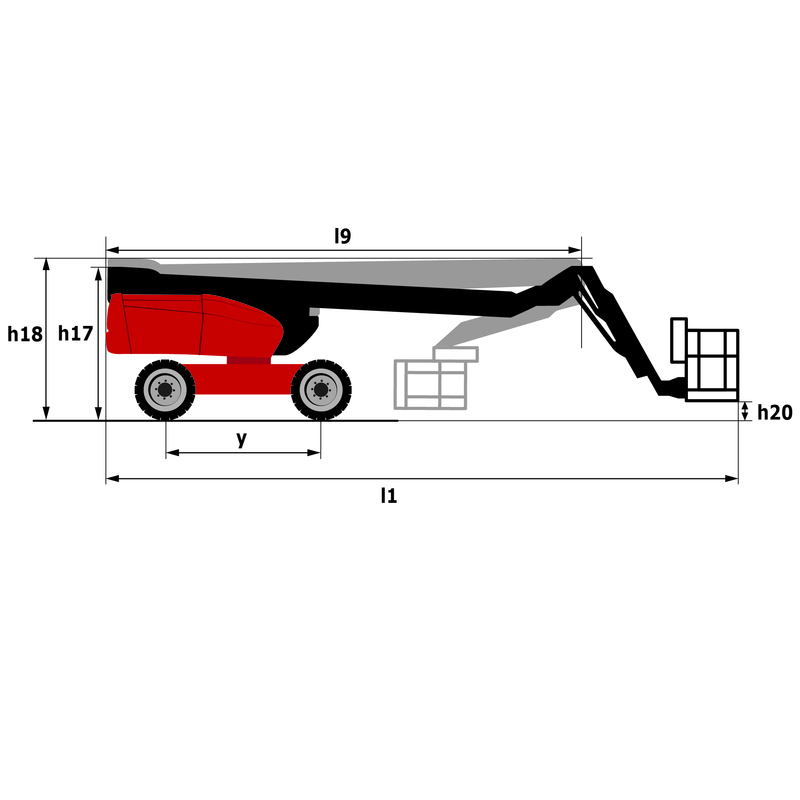 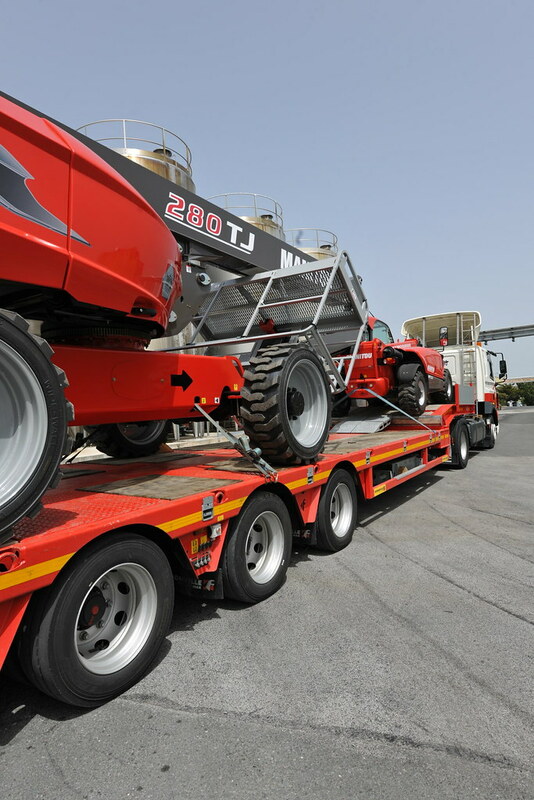 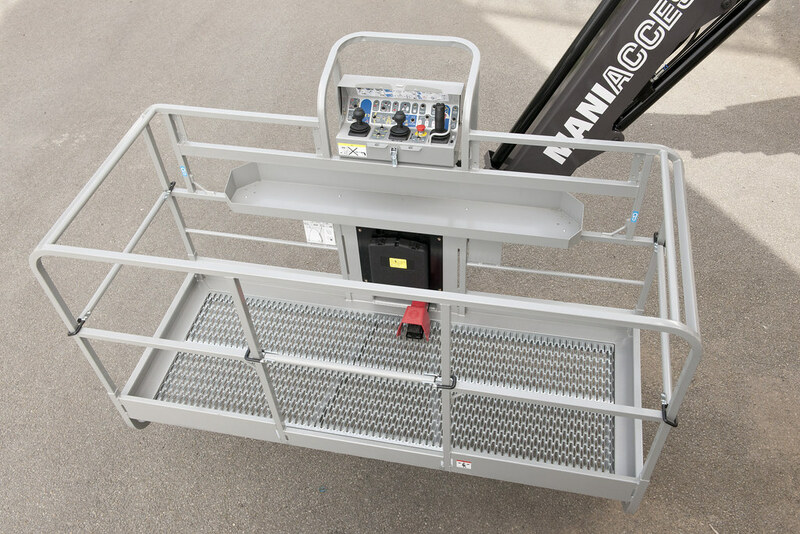 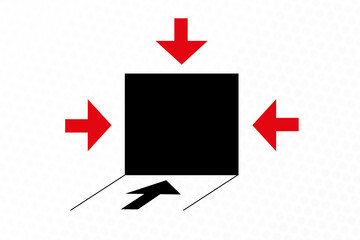 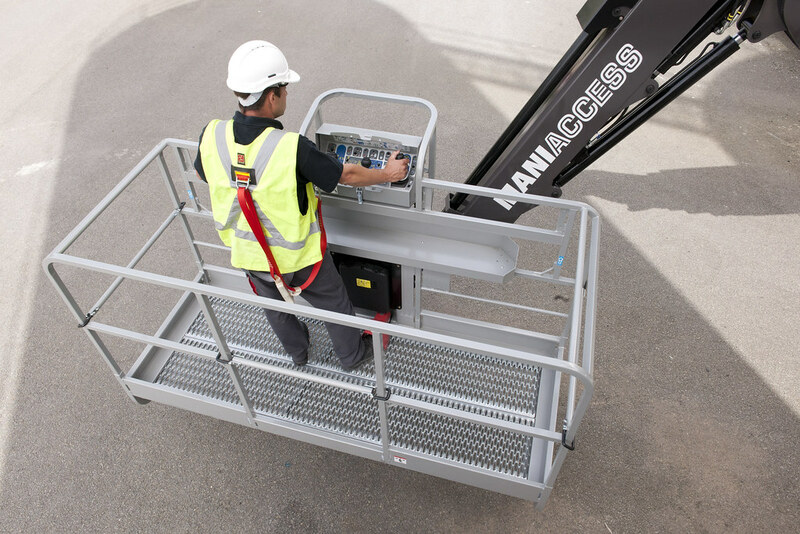 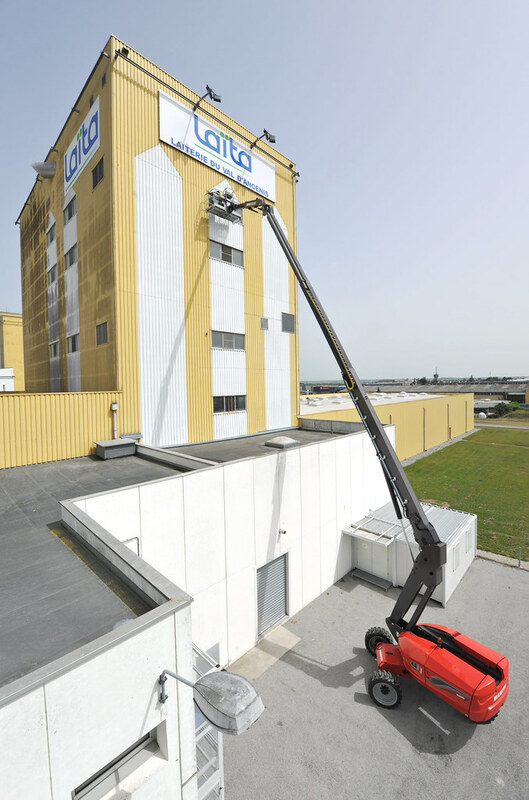 The 280 TJ access platform has very compact dimensions and a weight that is less than the standard, which improves maneuverability on cluttered sites and faciltates its transport. 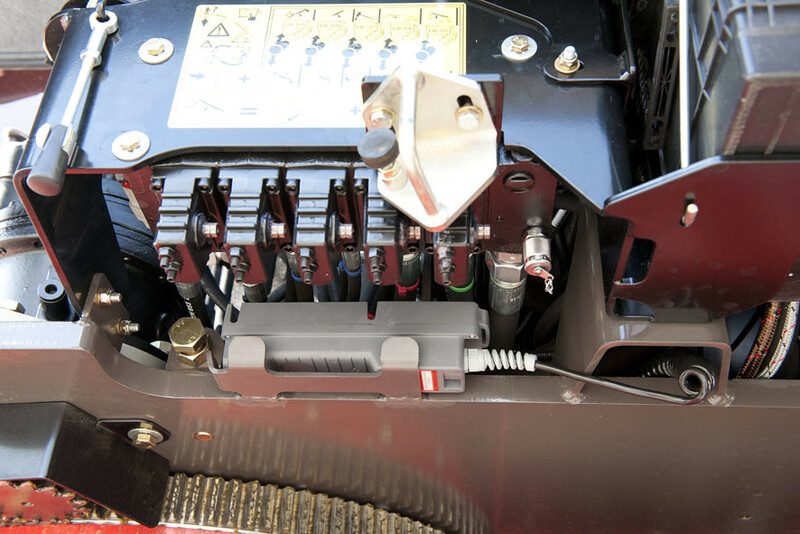 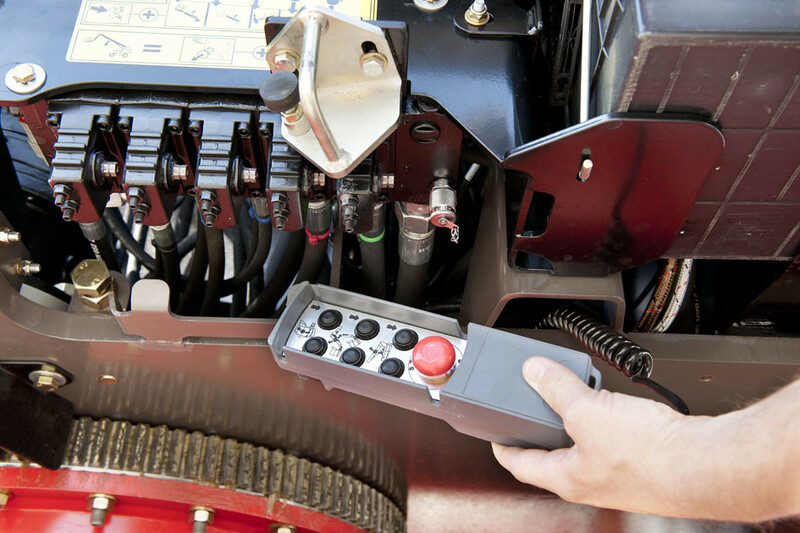 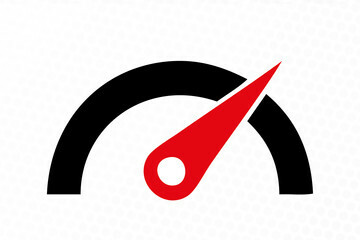 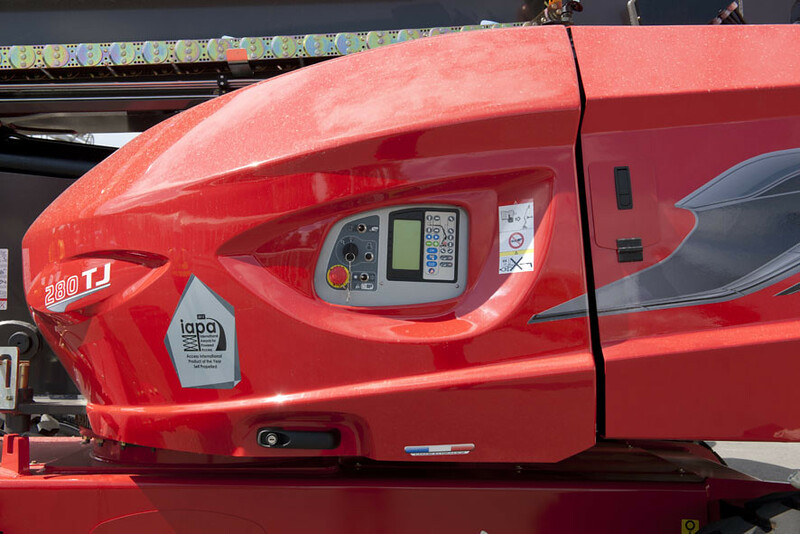 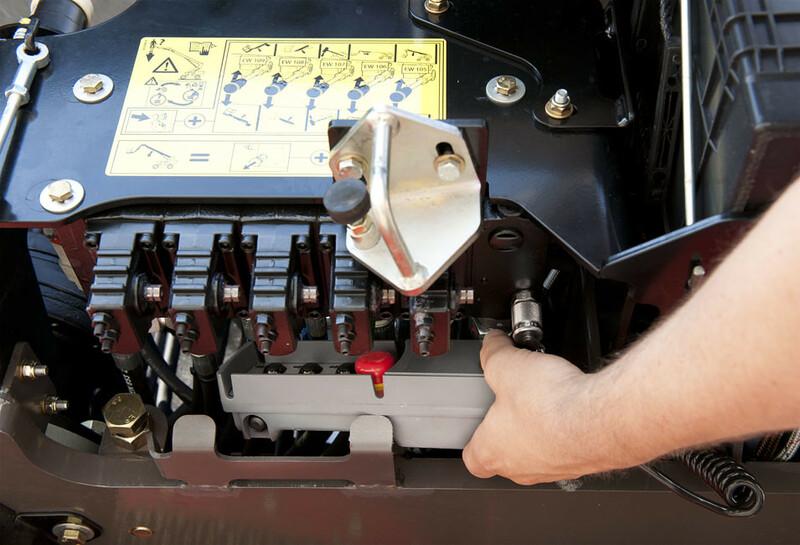 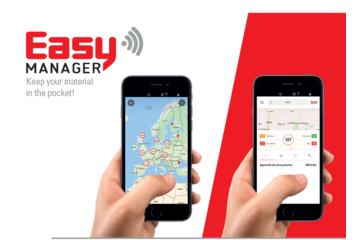 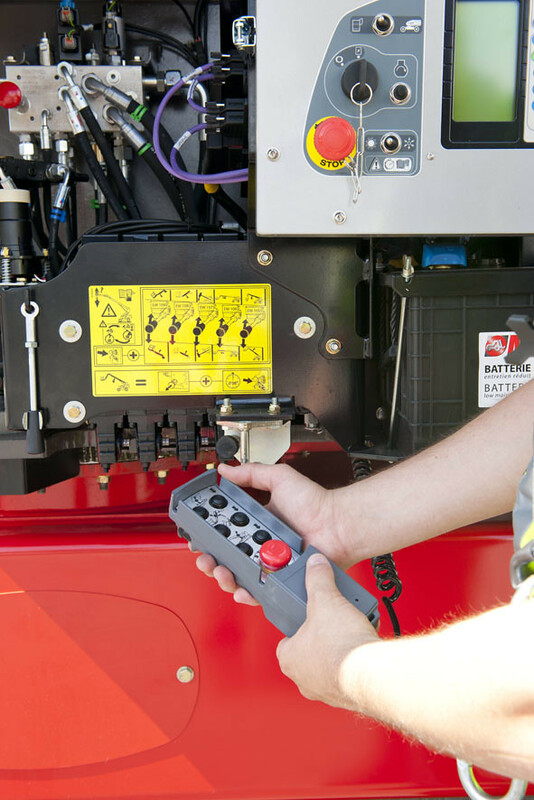 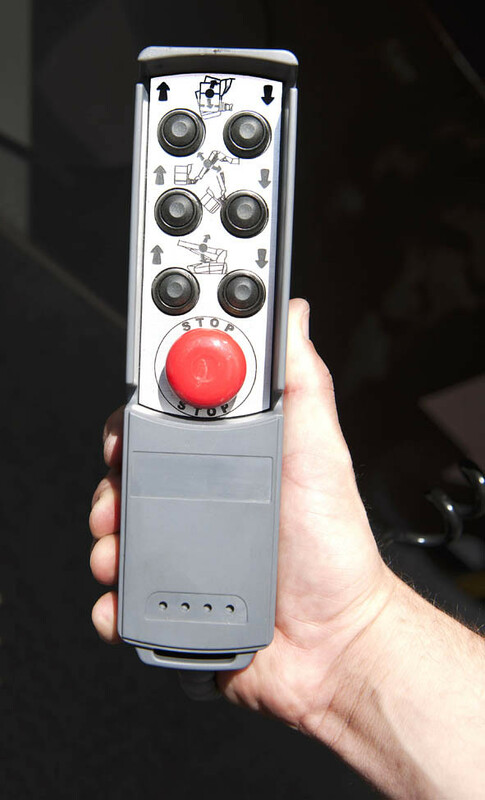 The noise level is reduced as well as fuel consumption thanks in particular to the incremental hydraulic management for engine speed. 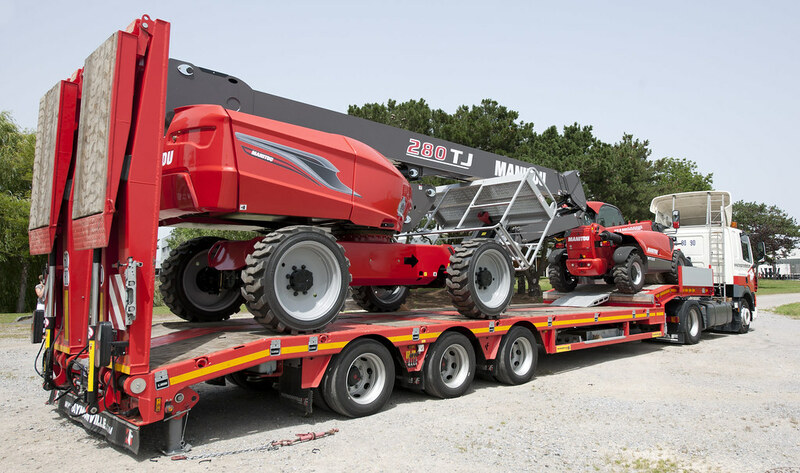 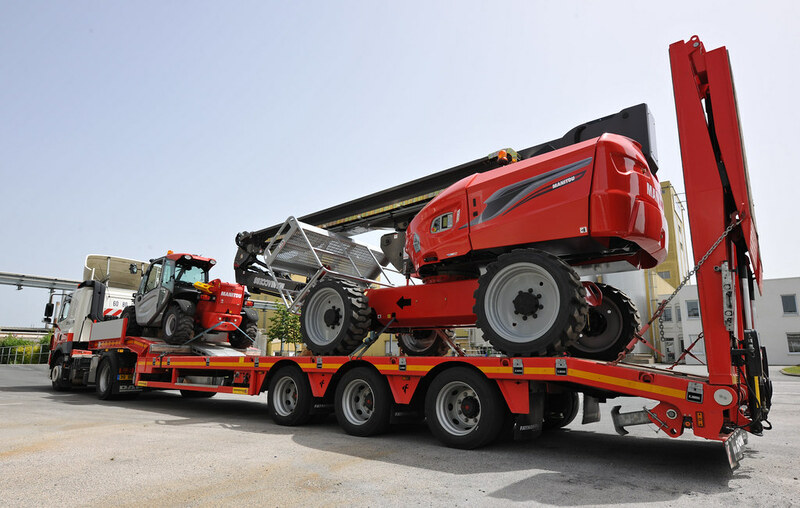 Lifting height 25.75 m 84'6"
Max reach 21.45 m 70'4"
Overall length 11.36 m 37'3"
Overall length (folded) 8.04 m 26'5"
Wheelbase length 2.8 m 9'2"
Overall height (folded) 2.71 m 9'0"
Turning radius 7.235 m 23'9"
Turning radius (basket unfolded) 9.75 m 31'12"